The early classical texts of acupuncture emphasize the importance of intention and focus from the practitioner when treating a patient. This makes sense from a logical perspective when considering diagnosis and a treatment plan. 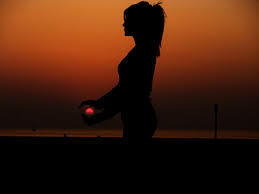 There is also a more subtle energetic level to this intention that has a great effect on the outcome of treatment. It is well recognized that practitioners that have a meditation or qigong practice tend to get stronger results from their treatments. Why is this? Well, it is the power of intention. First I have to say that regardless of intention or belief Acupuncture does work. So before you jump to conclusions and say that this is merely a placebo effect let me stop you. Acupuncture has been shown in studies to have a measurable effect on the nervous system, blood flow in the brain and body, and protein signaling on a cellular level. With this in mind what place does intention have in Acupuncture? Acupuncture is a medicine that was created upon the belief of energy flow within the body. Whether one wants to look at this as metaphor or fact is nonconsequential. From the perspective of the practitioner the needling of Acupuncture points has a desired or specific outcome. The more focused one is on this outcome the more likely this is to happen. Right now I can feel people groaning and rolling their eyes. Is he talking about “The Secret”. Well, I am, sort of. It is this intention combined with practice and a well developed theory or foundation that allows this to happen. If I was to lay hands on a person with a similar intention I may have a result or I may not. With Acupuncture, the physiological effects of the needles when combined with the intentional framework of the system create a stronger result. This is a great concept for Acupuncture but why care about it beyond that? Well,the good news is that you can apply this to many areas of your life. The stronger your intention is upon something you want the more likely you will achieve it. Back to “The Secret” again…? No! That movie suggests that you can obtain everything you want in life by merely desiring it with focus. If that was the case we would all be rich! What I am saying is that to achieve what you want in life you have to work for it, but if you have a clear vision and focus on your goals your chances of living your dreams are infinitely greater. The problem with most people is that they want a way of life but they are either unable to see it or unwilling to work for it. When you combine both aspects you do achieve. I recommend to many of my clients that they begin a practice such as Yoga or Qi gong not just for the health benefits but also for the ability to clear their minds and focus on what they want in life. Give it a try! 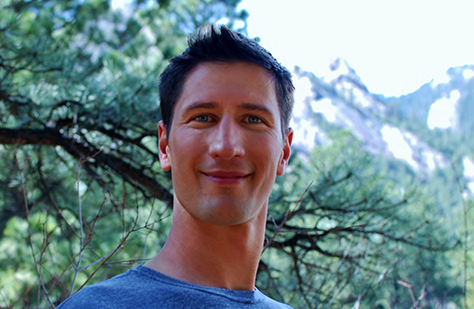 Bradley is a NASM certified personal trainer, a NCCAOM licensed acupuncturist/Herbalist, and Qi Gong practitioner. He specializes in corrective exercise, functional exercise, strength training, Qi Gong training, and Chinese medicine.